Relax by the water at Shelly Beach and Bronte Beach. Take a break from the city and head to The National Pass and Taronga Zoo. You'll find plenty of places to visit near Manly: St Thomas Becket Church (in Lewisham), Norman Lindsay Gallery & Museum (in Faulconbridge) and Leichhardt (MarketPlace, Leichhardt & Hawthorne Canal Reserve). 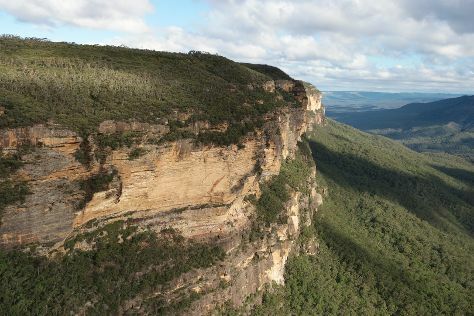 There's still lots to do: look for all kinds of wild species at Featherdale Wildlife Park, look for gifts at Belle Fleur Fine Chocolates, admire the sheer force of Wentworth Falls, and take in the awesome beauty at Blue Mountains. For reviews, maps, ratings, and more tourist information, read Manly journey planner. If you are flying in from Switzerland, the closest major airport is Sydney Kingsford Smith International Airport. Expect a daytime high around 26°C in April, and nighttime lows around 17°C. Finish your sightseeing early on the 22nd (Mon) to allow enough time to travel back home.